Holistic health enthusiast, health podcaster, and chiropractor Dr. Jesse Chappus and Culinary Nutritionist, Health Strategist, author, and health podcaster Marni Wasserman join our hosts Jimmy Moore and Jenna The Paleo PA on their very last episode today in Episode 205 of "Low-Carb Conversations With Jimmy Moore, Jenna The Paleo PA & Friends!" It's another fun-filled Friday for you here on this listener-supported podcast dedicated to highlighting the latest health headlines with educated opinions from people in the low-carb, Paleo, primal, real food community. Do you like what you hear on this weekly podcast? Stay tuned at the end of today's episode to find out the new direction this podcast is taking beginning in January 2017. IS BEEF BEING LOOKED AT AS DIABETIC-FRIENDLY NOW? Could beef be the simple cure for diabetes? In today's episode, our hosts Jimmy Moore and Jenna Lightfoot (aka Jenna The Paleo PA) are joined by Holistic health enthusiast, health podcaster, and chiropractor Dr. Jesse Chappus and Culinary Nutritionist, Health Strategist, author, and health podcaster Marni Wasserman from UltimateHealthPodcast.com and the dynamic duo behind The Ultimate Health Podcast on iTunes. Listen in at the beginning of the show as Jimmy and Jenna announce their fond farewell to this podcast as Jimmy begins a new podcast on fasting coming in January and Jenna decides to step away to take care of her current health concerns. IS FAST FOOD MAKING A MISTAKE WITH HEALTH FOODS? Listen in as Jimmy, Jenna, Jesse, and Marni discuss whether eating beef can help people with diabetes, the dramatic rise in cases of Type 2 diabetes, the biggest mistakes people make in eating healthy, why DNA doesn't determine heart health risk, how fast food companies keep trying to appease the health consumer, a new study confirming Alzheimer's disease is diabetes of the brain, why high-carb diets are worse for cholesterol than high-fat, and a plea to try low-carb living instead of weight loss surgery. Plus, don't miss the great recipes from Jesse and Marni at the end of the show. Now pull up a chair, grab a cup of coffee, and let's talk! And one more thing...don't miss listening to next Friday's episode as it will be my final show on Low-Carb Conversations. THANK YOU so much for all of your support of this podcast over the past few years featuring our original host Jimmy Moore along with his cohosts Mindy Noxon Iannotti, Cassie Bjork, and Jenna Lightfoot. 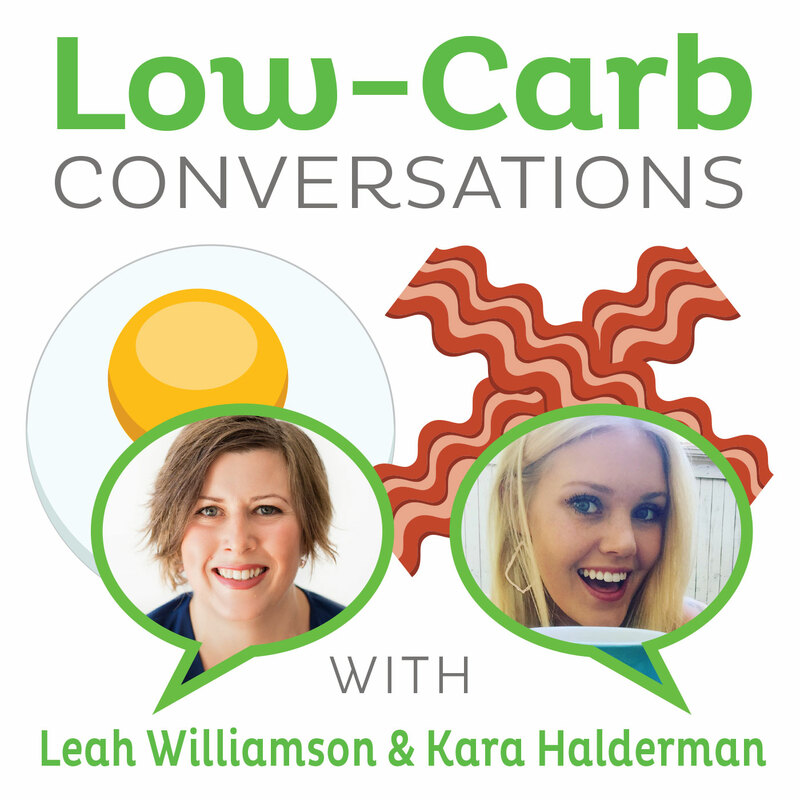 But it's time to usher in a new era of "Low-Carb Conversations" coming in January 2017 featuring two amazingly talented and educated new cohosts we KNOW you're gonna love: Leah Williamson from Brisbane, Australia and Kara Halderman from Austin, Texas. Listen in at the end for a 10-minute introduction to meet these ladies taking over this podcast and then stay tuned in 2017 as they carry on the tradition of talking about all the latest health headlines. - SECRET HEADLINE: Could beef be the simple cure for diabetes?